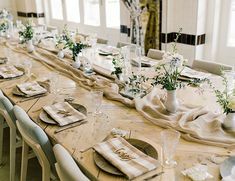 When you love the look of your table, but also want a touch of linen… La Tavola Table Runners are the ultimate win for a beautiful table you want to show off! The options are endless with table runners. Are you searching for the perfect balance of understated yet eye-catching? Or do you want a runner that is the showcase? La Tavola Table Runners are perfect for a variety of occasions! We love using runners to pull in something a little extra. Go bold with some pattern! Our Rio Grande pictured here is especially fun because the runners are used horizontally and perfectly complete the southwestern look. Who doesn’t love a stripe, especially a multi color one! 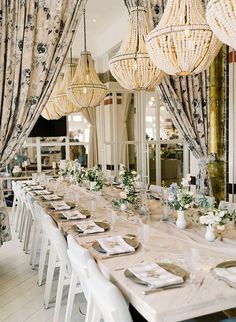 This beautiful workshop was hosted by The Poffs and designed by Brannan Events with photography by Lauren Feddersen. Even if you are already covering your table with a linen, using a runner is still a fresh addition! We love how our Charles Indigo runner shown here adds a bright, modern touch. Do you live for solids, but love a good texture? Our Velvet Collection is made for you. A hint of velvet is perfect all year round! Usually shy away from yellow? Think again. Our Velvet Golden runner is such a beautiful pop for this citrus themed table. This stunning inspiration was designed by Kelly Oshiro and photographed by Koman Photography. More where that came from on Style Me Pretty. We simply love how the Velvet Blush blends in with these florals. We love how Kaella Lynn Events did not shy away from using this rich color against the light dinnerware, and how Jake & Necia Photography captured it perfectly. Our 2018 Collection includes this Wes runner, and we could not be more obsessed. It is available in Curry, Navy, and Steel. We love it so much; the navy and curry are both displayed in the Napa showroom for your viewing pleasure. Check out the La Tavola Pinterest for more of our 2018 collection in use! Drama, romance, luxury… the Aurora runner wears many hats. How stunning is our Aurora Blush under this outdoor chandelier?! The oversized runner provides lots of movement to add a whimsical, soft touch to any dining experience. Pastels never go out of style in our book. We are in awe of this editorial that radiates elegance created by So Happi Together and Sally Pinera Photography. 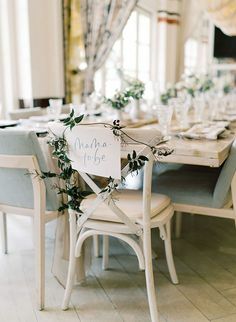 All the different types of table arrangement are beautiful, good camera work by photographers. 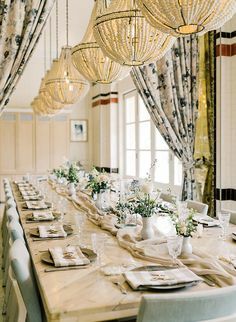 La Tavola Table Runners are perfect for a wedding, engagement and other ceremonies.